My name is Lisa DeVore. I was born and raised in Alliance, Ohio (about 20 miles NE of Canton, Ohio…home of the Pro Football Hall of Fame). I have been married to my best friend for nearly twenty-three years. Our oldest son, Lewie, is twenty-one, and works with his dad doing custom restoration on old hot rods and motorcycles. Our son, Cole, is eighteen and will be graduating in June, and off to college to study computer technology. And our “baby” girl, Jessica, will turn sixteen on my 50th birthday March 27th. She’s all about driving right now. We have three four-legged kids, Smitty & Wess, who are toy fox terriers (and brothers from the same litter) and my mini-pin, Chester. Where did you get the idea for “Sebastian’s Castle”? My hometown, Alliance, has its very own castle…Glamorgan Castle. The mansion was built from 1904-1909 and is now home to the Alliance City Schools’ administration. As a student and resident of Alliance, I’ve grown up around the castle, and have shared its beauty and history with my kids. It inspired the castle in my book, from the layout to the breathtaking chandelier. However, I don’t believe Glamorgan Castle has any secret passages. Who knows though? The ghost came naturally…what castle doesn’t have a ghost? Sebastian’s last name was, also, borrowed from William Henry Morgan, owner of the Alliance castle. 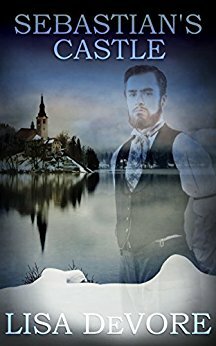 This is my first “ghost” story, but the suspense genre is not new to me. I have to say, it was fun to write! I have toured and visited Glamorgan Castle many, many times since I was a child, and know its history as well as my own, but prior to writing “Sebastian’s Castle” I took two tours. I wanted to feel the rooms, and the history. I wanted to see it as my characters, Brynn and Jax might see it, and imagine them there. Having that template for Brynn’s Mystic, CT castle made it come alive for me, and, I hope, my readers. The most difficult thing about writing a book, for me, is time. I haven’t, as yet, experienced writer’s block. My writing takes me on dips and curves that I don’t even see coming. I have really given up on outlines, because my stories always take turns along the way, and I never keep to one. And, I may start off with a hero and he ends up the villain. I just never know! Music. It inspires me. For each book, I have a theme song I listen to. (Me too!!) Do you have another occupation, other than writer? If so, what is it and do you like it? My day job is accounting for an electrical distributor. I work part time, and I do like it. My degree is in accounting, so it’s good to be able to use that knowledge. And I work with some great people. Absolutely, without question, social media. My favorite book of all time is the Bible. It inspires, calms, and gives hope. It has stood the test of time, and there is always something new to learn from Its pages. My favorite childhood book is “Green Eggs and Ham”. I loved that book! I read it so many times as a child, and to my kids, that I knew it by heart! It would be Sebastian Morgan from “Sebastian’s Castle”. How cool would it be to spend a day with a ghost? I am a geek when it comes to history, and I would spend the day annoying him with questions about his life, and what it was like to live in his time. Last May, I met my favorite singer, Scott Stapp (the front man of Creed, Art of Anarchy). His life experiences are in his music, and have inspired many. He has been criticized, and persecuted in the media, but he stays true to his style of writing, and gives God the glory. He is truly a kind man who loves God, his family, and fans. It was a pleasure meeting him…and he gives an amazing concert! Nora Roberts. I don’t believe there’s one book she’s written whose characters didn’t come alive to me. Her stories have so much depth. She is a master at putting her reader in the moment. Place you’d like to visit- Salem, Mass. from her mind and kneeled in front of the trunk with the screwdriver. She’d never tried to pick a lock before, but there was a first time for everything. Brynn jumped to her feet and swung around to face the voice. She gripped tightly to her only weapon, the screwdriver. “You’re a…” She patted her face. “A what? I’m a what?” His face faded and returned. Lisa DeVore is a romantic suspense author for The Wild Rose Press. Her active imagination started at an early age in her NE Ohio hometown, complete with its own castle. She’s an avid reader, loves the beach, dolphins, and sunshine! Yes, she’s a misplaced Floridian. Lisa stays busy utilizing her accounting degree, spending time with her husband of 20-plus years, their two sons and daughter, 2 toy fox terriers, and one mini-pin. And she enjoys spending time in the worlds she creates. 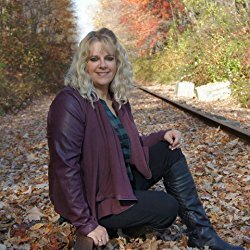 Lisa made the Amazon best-seller list for her debut novel “Beautiful Music”, and is excited to announce the release of her fourth book, “Sebastian’s Castle”. Great interview! I, too, write ghost stories. I find the genre quite “freeing” as my ghosts can do or not do whatever I think up for them~! Best wishes for success–this sounds like a yummy novel! Thank you!! It was fun to write! Love ghost stories! And the castle you patterned yours after is a great setting for a good one. ! I’d love to spend some time there. Thanks for sharing! It’s a beautiful place, and even better place for the imagination to run wild. The kindergartners at the school I work at made green eggs and ham the other day. Let me tell you, green eggs do not look at all appetizing! I love your cover and this sounds like a must-read! Thank you!! She nailed the cover for me, and went above and beyond! Great interview and intriguing excerpt. Best of luck with your new release! Always a joy to read about the success of fellow “roses” at WRP. It’s amazing to find you are a working mom (3 two-leggeds, 3 four leggeds) and still find time to write 4 novels and promote them! Share the secret! Ooh, fun excerpt! I was a little concerned at first because I am not crazy about spooky ghost stories, but this one sounds intriguing. Thanks for the interview and good luck on the new release!